Google can identify your pets in pictures, create augmented reality with a single rear camera, and isolate individual voices in a crowd. As we've learned over the past few weeks, what Google can not do is keep a secret. 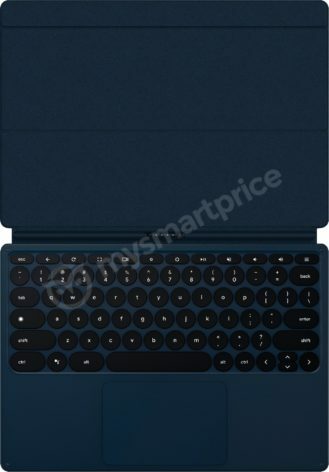 We've only seen glimpses of the company's upcoming Chrome OS tablet, but now full images have been posted by MySmartPrice. 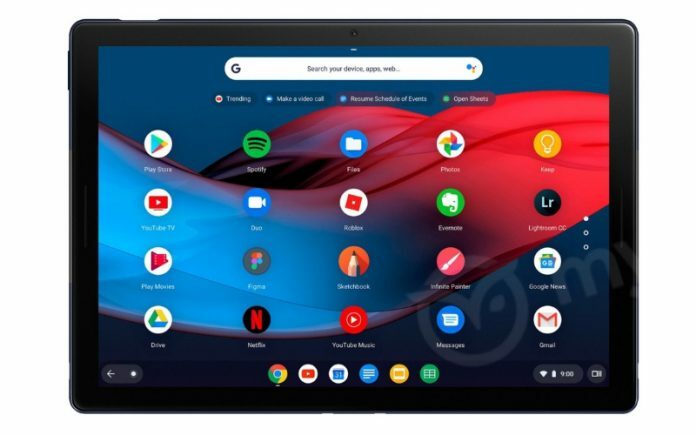 The tablet is officially called the 'Pixel Slate,' and it features a 3:2 touchscreen (of an unknown resolution) with stylus support. There are cameras on the front and back, and the front-facing stereo speakers will probably make this a great tablet for watching media. The screenshot includes some of the Chrome OS tweaks we've seen in development recently, like the centered app shelf. The detachable keyboard is interesting as well. All the keys are rounded, and there is a dedicated button to launch Google Assistant. The keyboard is part of a larger folio case which wraps around the tablet when not in use. MySmartPrice wasn't able to confirm any specifications, but evidence from Chromium source code points to the tablet having an Intel Kaby Lake processor with a 2400×1600 display. We'll only have to wait two days for the official announcement.